this is a 'REAL POWDER' cushion! I was like, are you saying this is a powder instead of a foundation?! I found out about this product through my dearest YouTuber buddy, Lamuqe. and she highly recommended it to me since she knew I have an extremely oily skin. And she told me this is an ideal cushion product for oily skin type. So yeah, without any doubt, I ordered it and tried out by my own! Check out my video review and 12hrs wear test on YouTube! Packaging is rather plain and sleek for Etude House standard. so I don't think any regular cushion foundations will be compatible for this cushion case. 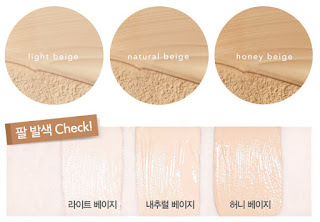 I purchased Honey Beige which is described to be suitable for #23 skin. However I found Honey Beige has an tanned-orange under tone. The coverage is the bomb. I'm actually impressed Etude House is coming up with almost full coverage foundations. 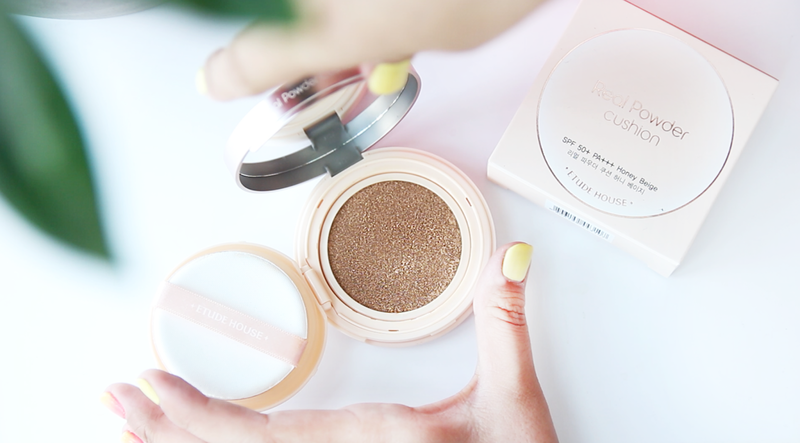 but Etude House Real Powder Cushion yet again blew my mind with nearly perfect coverage. This is just 100% powder. 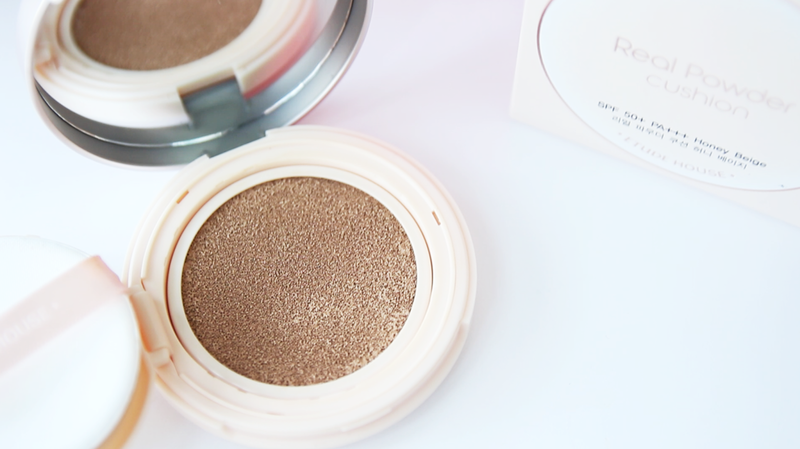 Like a legitimate powder in a cushion compact! I couldn't sense any fluidity in this product to be honest and it shocked me at first. So as soon as you apply it it will dry to down fast to a powder with a matte finish. I think a lot of people who have oily skin will thank this product. 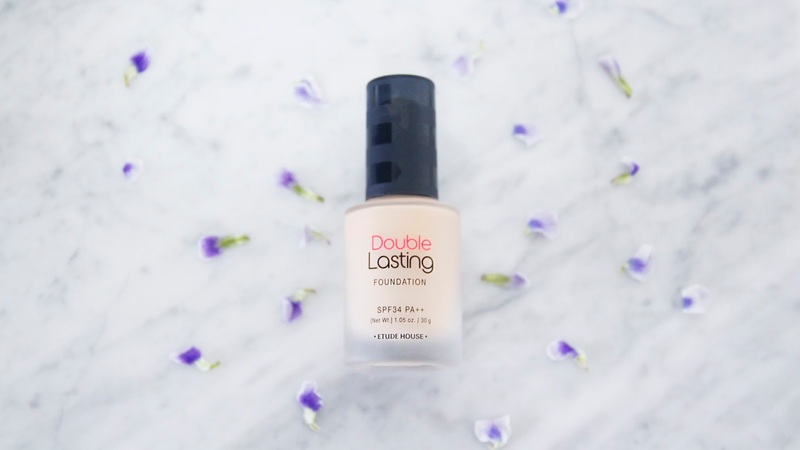 The consistency is very light-weight although it provides a gorgeous flawless complexion. because I found it has tendency to look too overdone and cakey looking. This product is definitely catered for oily skin types or anyone who lives in a hot climate. FYI, this was the only product I could wear during my stay in Singapore. which impressed me a lot. 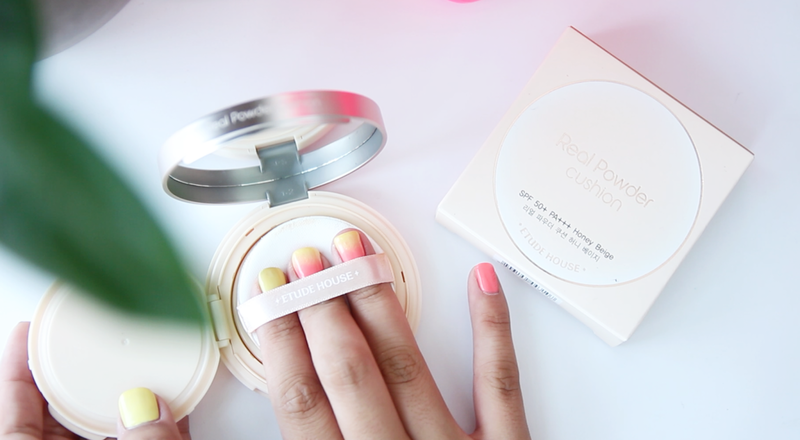 That being said, Etude House Real Powder Cushion is more geared towards the Southeast Asian market. I would definitely reach this product a lot during summer time! and here are the rules to participate! 2. Leave your region (where you live) and email address down below in the comment! 3. Comment in this post telling me what you would like to see more from this blog. One entry valid per person. Ends on June 11th 2016 24:00 Korea time. on the 12th of June and contact you through the email address you left! Liah !! Hi~ what I'd like to see more of huh? Hmm.. Well first of all let me tell you I love reading your reviews of items and your traveling. I've been following your snapchat and I noticed you go exercising quite a bit! I would love to see blog posts of your exercise regime and food/recipes you eat !!! Always cheering you on Liah! I would like to see more face masks from this blog. I live in Malaysia. My email address is cristenbelle@gmail.com. Thank u for an awesome blog, channel and have a wonderful day !! Hi! Thanks for the review. I'm in California and my email is happinesscomesfrom@gmail.com. 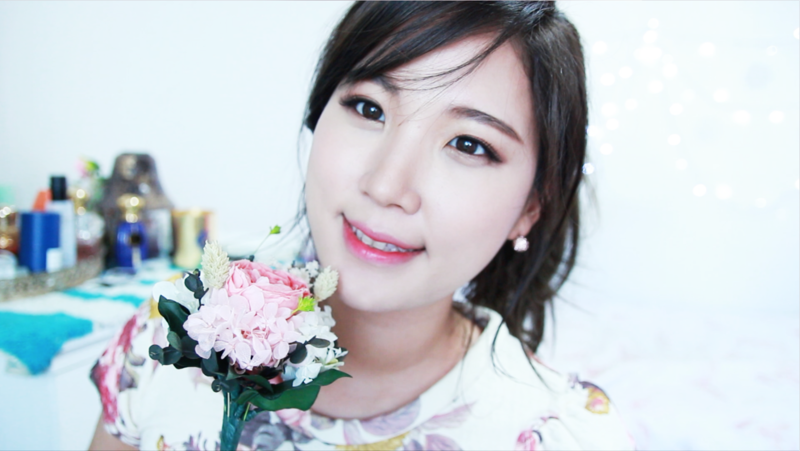 I would love to see more Korean beauty new releases videos! Hi Liah! I currently live in Hong Kong (so sad you didn't do a meetup last time but will wait for your next trip here!) and my email is uncolorings@gmail.com ^^ I love your product reviews and favorites posts the most. Would love to see more of those! Also, a while back, you made your top 5 favorite foundations, so maybe you could do the same for other categories of makeup! Finland :) I would really love to try this one! I'm Yvonne Heart Valle from Philippines! 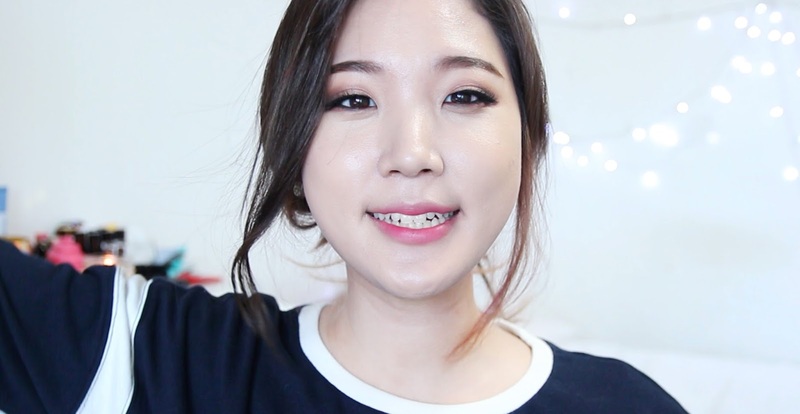 I would love to see more comparisons of K-beauty vs European vs US products - e.g. comparing bb cushions, eyeliners, etc! Thanks!!!!!!!!! I would like to see more posts comparing products from various countries and how long-lasting they are for the different seasons! I am from Romania and I would love to see more makeup reviews !